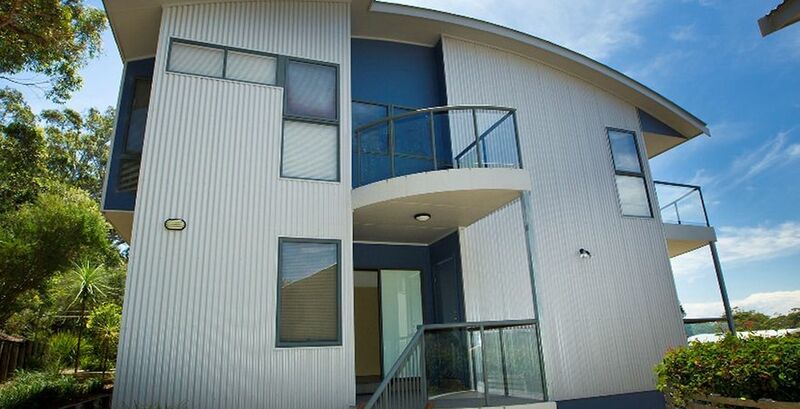 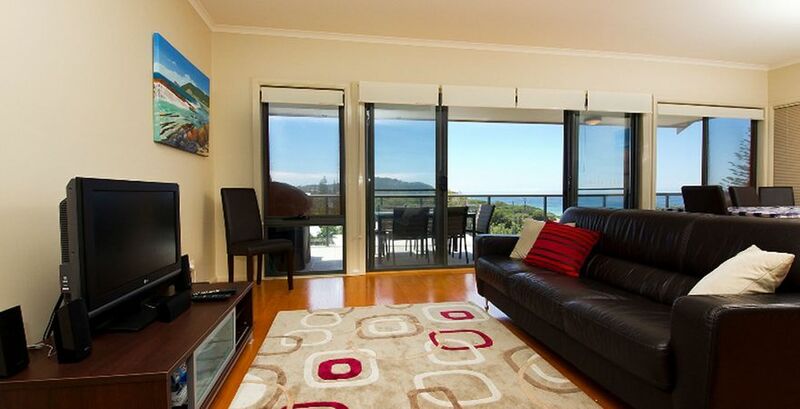 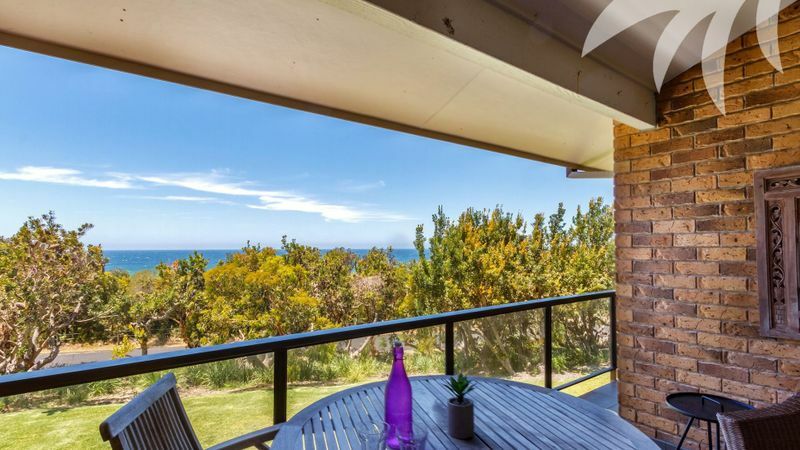 Situated at the southern end of beautiful Boomerang Beach, this contemporary multi-level, 3 bedroom apartment, enjoys panoramic ocean views from its elevated headland position. 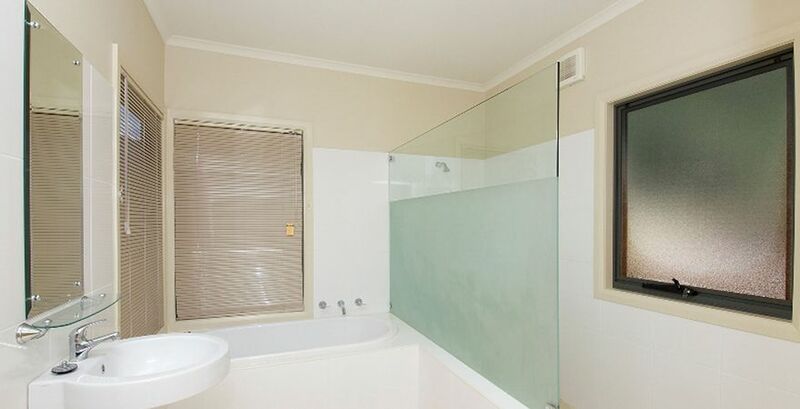 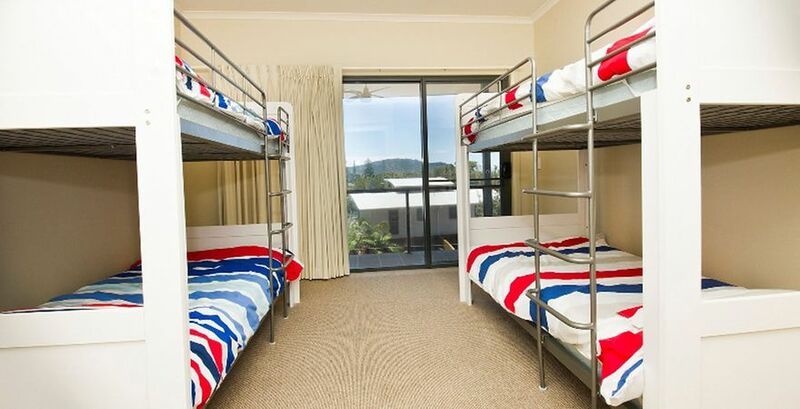 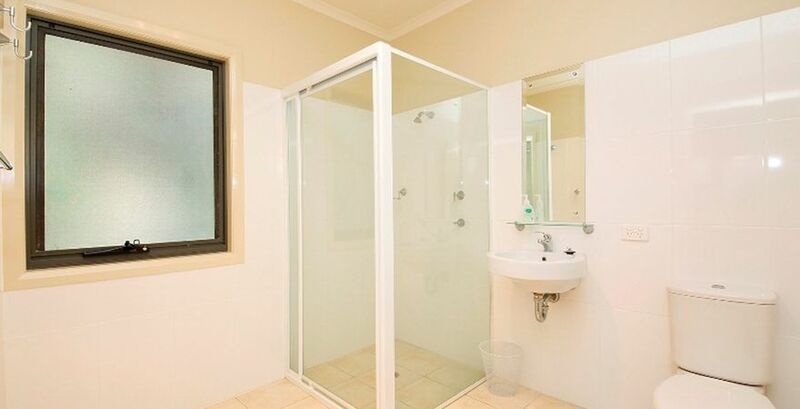 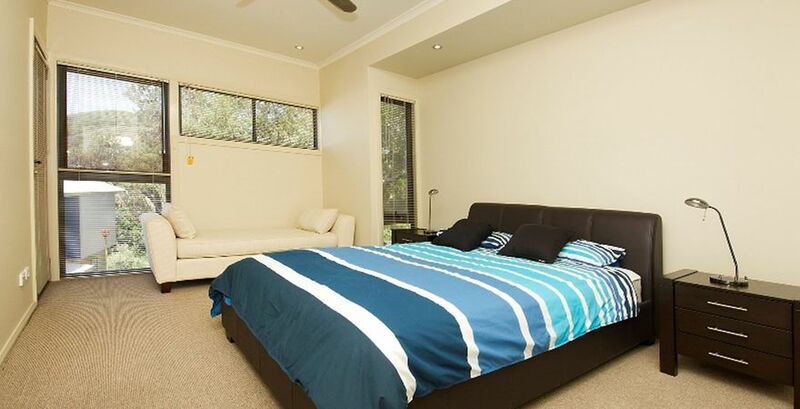 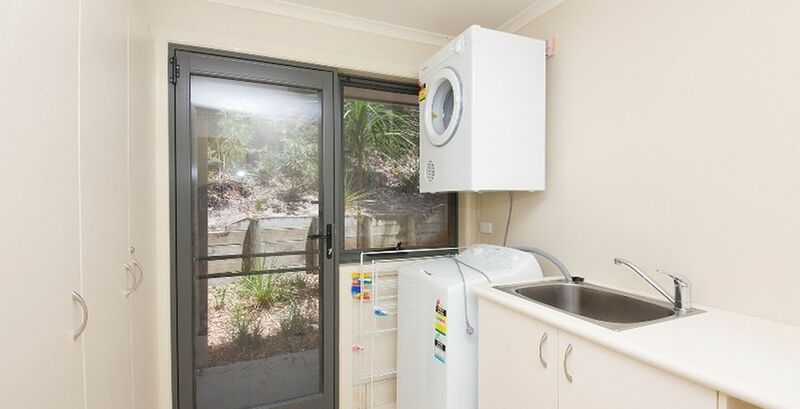 Set back from the road, you are still only 150 metres from the surf and sand of Boomers. 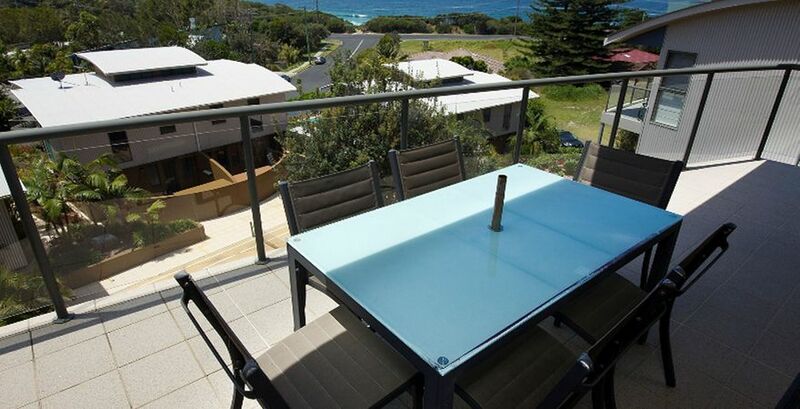 Experience the peace and tranquillity of Sands, a unique, tri-level holiday home set high atop the headland and enjoying superb ocean views. 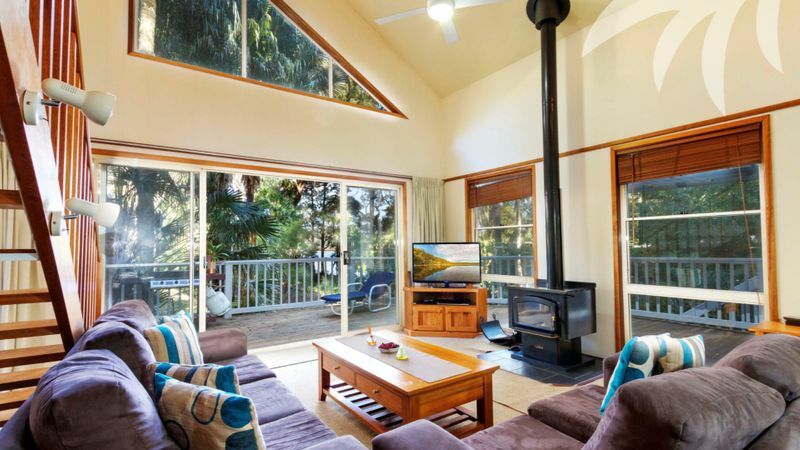 Ideal for families or two couples looking to getaway, the interiors and light, bright and spacious, with all the modern inclusions you require for the perfect escape. 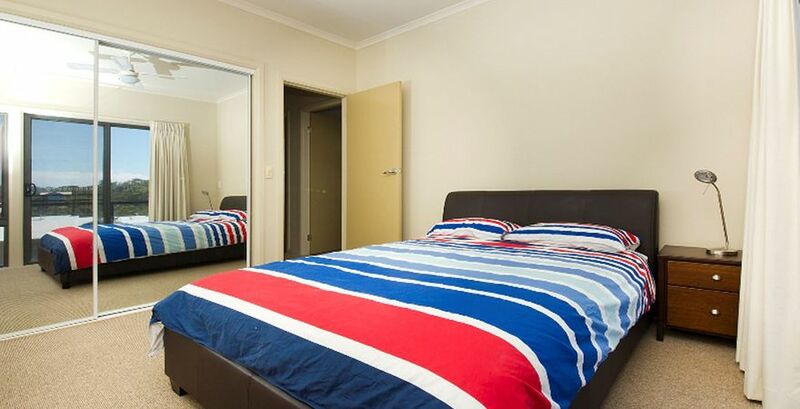 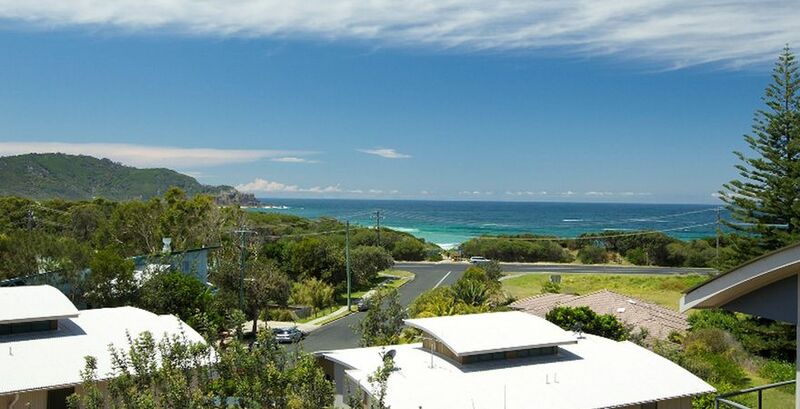 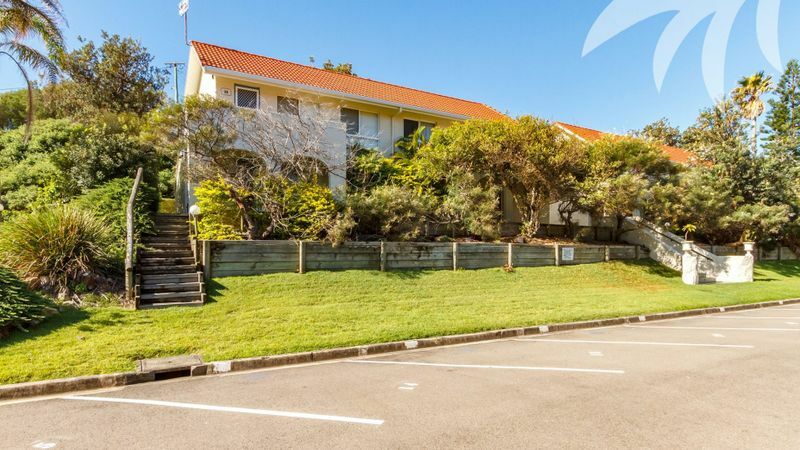 Located mere metres from the popular Boomerang Beach, you’ll relish the chance to catch some waves at this famous break, before exploring the pristine National Parks and Lakes of this holiday hotspot. 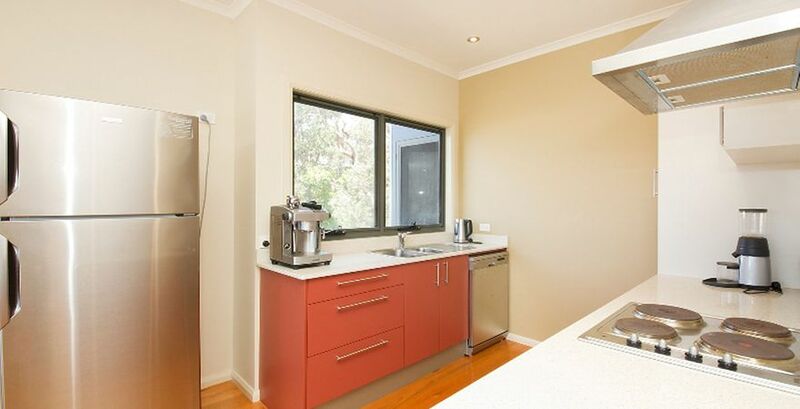 Kitchen: Fully equipped with coffee machine (ground coffee) and coffee grinder, microwave, fridge / freezer, dishwasher, electric oven and induction cook top. 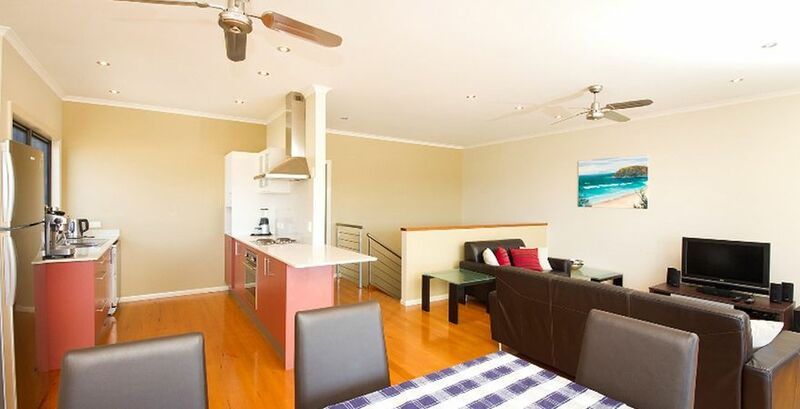 Living /Dining: Open plan with ceiling fans, leather lounges and timber flooring opening onto entertaining deck. 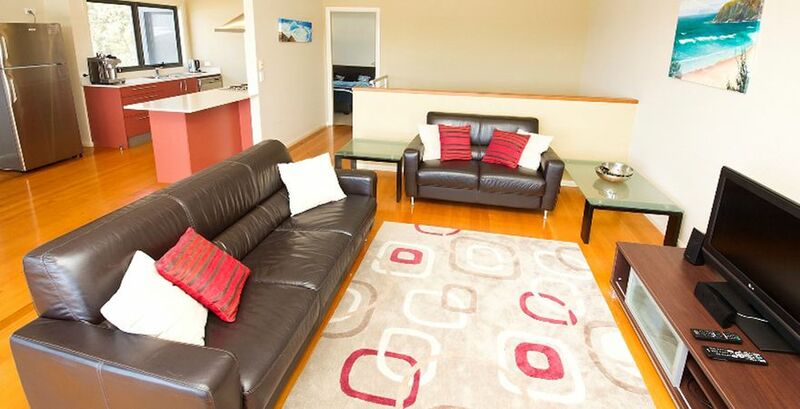 Plasma TV and DVD player, wireless receiver to play music via blue tooth.